Reach new prospects and enhance your lists of contacts, thanks to advanced features for the collection of recipients and their automatic management. From your site or social pages, at trade shows and events. 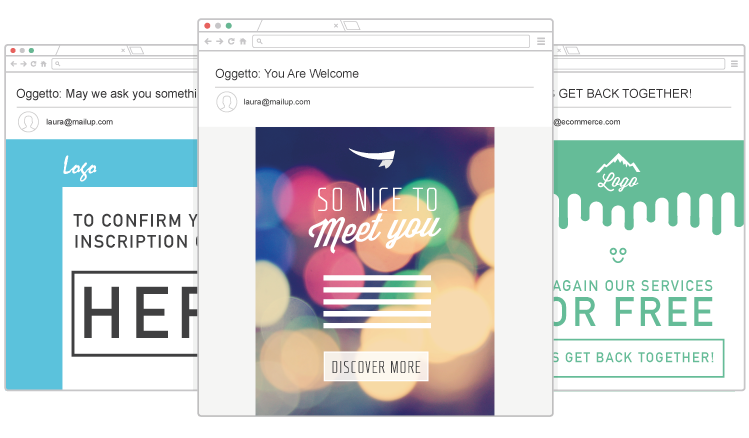 Every point of contact is an opportunity to convert visitors into new subscribers. With the platform-integrated drag & drop editor, create a custom form in just a few steps with a header, fields, pull-down menus, buttons and check boxes. Turn visitors to your Facebook page into new contacts. 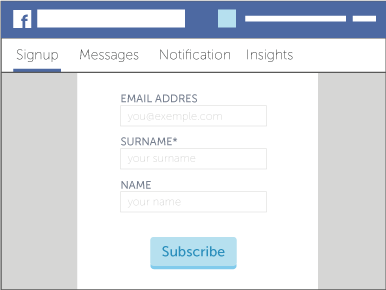 With MailUp's Facebook App, in just a few steps you can create a custom and easy to fill out subscription form. Make your site a special channel to feed the database. 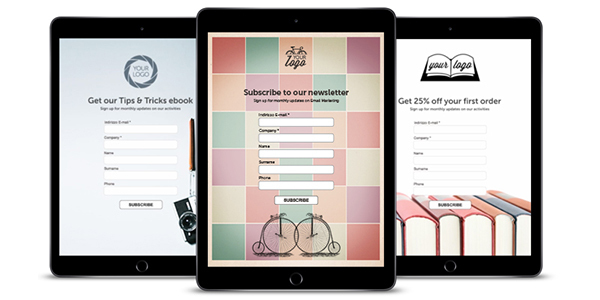 A simple pop-up subscription form lets visitors easily subscribe to multiple channels at once. In a flexible and granular way, configure a different working environment for each customer, product, or market category. Set autonomous work areas for managing different sets of messages, recipients, and statistics. Launch multichannel campaigns (email and SMS) by taking advantage of the single master data for your contacts. Create infinite groups for each environment and separate, for example, the best customers from potential ones. Create different administrators and select the environments and the menu items that can be accessed. Identified and categorized by type of error. Isolated and ignored in future sendings. Deleted during the importation phase. 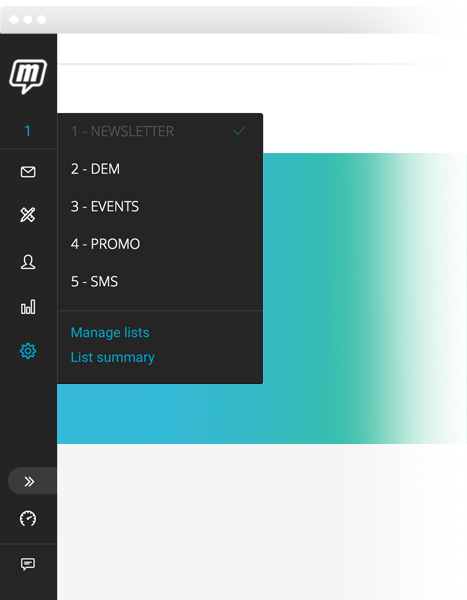 Choose between different campaign unsubscription modes and offer your contacts the freedom to manage their preferences and sending frequencies. With a click, with confirmation, or by adjusting the delivery preferences. So many ways to allow recipients to remove their contact from your sending lists. A control panel that your contacts can use to complete and update their profile with personal data, subscriptions, and sending frequencies. 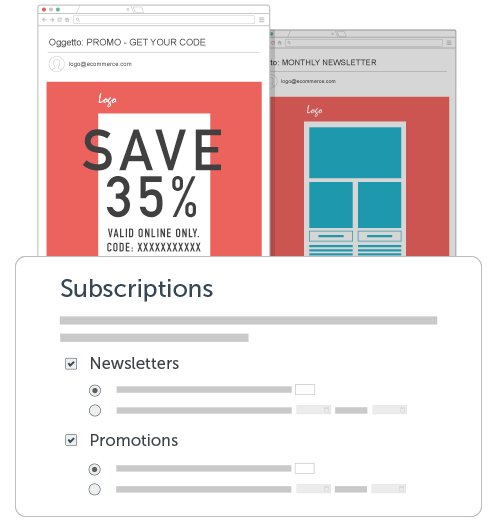 Leverage our Marketing Automation features to send one or more automated welcome messages to new subscribers - via Email, SMS or Messaging Apps. You can retrieve all the data on your platform within seven days from the date of cancellation, based on the last save.